Soothe your lips all year round with Vivid Promotions’ Printed Lip Balm and Lip Gloss Products. All of our Lip Products can be printed with your logo which makes them a great hand out product or gift with purchase. Have a browse through our extensive range of Lip Balms and Lip Gloss for your next promotion! Lip Balm Balls are a fun way to get your brand out there. With vibrant plastic casing, we can match your brand to a coloured lip balm ball that is filled with made to order lip balm. Choose from a fragrance and colour to suit your needs. Not only do we have bright lip balm balls, we also have a cool range of Sports Ball Lip Balms! These fun and novelty Lip Balms are the perfect way to show support for your favourite sports team and are ideal to hand out to team mates and supporters alike. Simply decorate with your logo and team slogan for a unique and effective promotional product. Along with Lip Balm Balls, Vivid Promotions’ Lip Balm Pots are a low cost option for fundraisers, women's events, summer campaigns and more. Promotional Lip Balm Pots come in small and large sizes, clear plastic casing, coloured packaging and metal packaging for your very own individual gift idea. Add your logo with a pad print or full colour digital label on the Lip Balm Pots and show off your full colour message! Lip Balm Pots are made to order and can be filled with your choice of 7 different colours and fragrances. If you’re looking for a classic Lip Balm, then our Lip Balm Tubes are the way to go. Neatly packaged in a Lip Balm Stick, Vivid Promotions’ can offer a handy merchandise item that will be loved by all. Choose from Coloured Tubes, Slimline Tubes, Widebody Tubes, Frosted Tubes and more. Match the Lip Balm to the casing or your branding and select a pad print or wrap around label and take advantage of the large branding area. 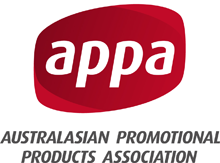 Hand out at Sydney Trade Shows, Queensland Summer Festivals and more. Lip Balm Tubes also come with various attachments such as lanyards, clips, carabiners and o-rings to ensure your Personalised Lip Balm Tube stands out from the rest. Make your logo and your lips shine with Vivid Promotions’ Printed Lip Gloss! From smaller Lip Gloss Tubes, Lip Gloss Tubes with Mirrors, Lip Gloss Tubes with Carabiners and Lip Gloss Tubes with O-rings, Vivid Promotions’ will have your next promotion covered. Made from soothing ingredients, the Lip Gloss can be coloured and fragranced with our various options available. Decorate your Lip Gloss with your personal message, logo or company details for your next promotional campaign. Did someone say Eco Promotion? Vivid Promotions’ Natural Lip Balms are a great option for Eco Friendly Promotions as the Lip Balm is made with natural ingredients and is free from Parabens, Preservatives, Synthetic Ingredients, flavours and colours. Made with Shea Butter and enriched with Almond Oil, Vivid Promotions’ Natural Lip Balms are a great option! Select from Natural Lip Balms in Tubes or Natural Lip Balms in Pots and hand out to clients, include in show bags or provide as a gift with purchase. Another great way to show support for your sports team is with Vivid Promotions’ Printed SPF Zinc Sticks and Faint Paint Products. Coloured Zinc and Face Paint is a fun way to represent your brand or team and wear your matching colours! Vivid Promotions has a great range of custom made Face Paint Products including Face Paint Balls, Face Paint Pots, Face Paint Tubes and more. Brighten up your next promotion with our Colourful Zinc and Face Paint Products at low prices all year round. Perfect for summer events, outdoor events, sporting events, schools, universities, trade shows and more, Vivid Promotions’ Custom Printed Face Paint and Zinc Products are sure to get you noticed. Are you sick of sore muscles after a work out? Vivid Promotions has a solution with our quality Sports Muscle Balm. Our Printed Sports Muscle Balm helps to relieve tight and overused muscles after a workout, sports event, or training session. Select from our Sports Muscle Balm in a Pot or a Tube and decorate with a custom printed label or pad print to ensure your logo is ahead of the game. Muscle Balm is enriched with soothing ingredients and essential oils to help you relax and unwind.